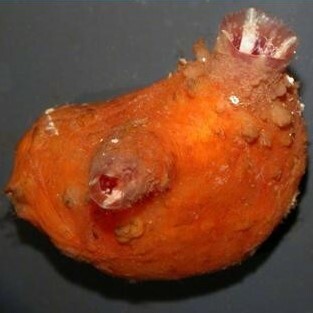 The leathery sea squirt is a large solitary sea squirt widespread in the UK, indigenous to the NW Pacific and was first recorded in the UK in Plymouth in 1953, possibly introduced on the hulls of war ships returning from the Korean War. 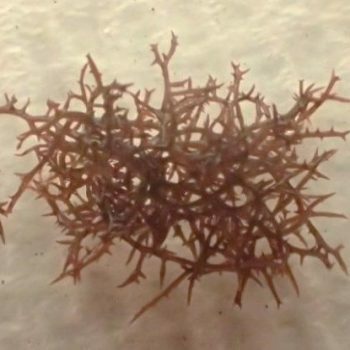 It attaches by a small flat holdfast at the base of a narrow stalk, its rough exterior is usually colonised by other fouling species such as other sea squirts and bryozoans, and thus it can increase the available space for settlement for native as well as non-native species. It attaches to solid surfaces in shallow water, especially in harbours and marinas but also on wrecks and natural rock bottoms. 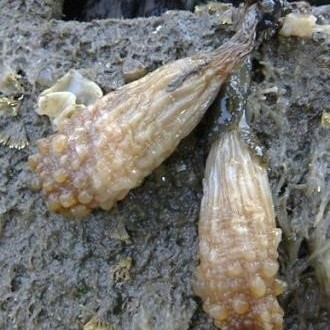 It can achieve high densities and did prove to be a severe nuisance to long-line mussel farming in Canada until replaced by other invasive species, however, this species has not been noted as a problem to aquaculture in the UK to date. 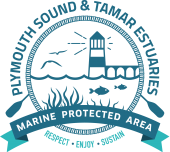 In the Tamar Estuaries area it is common in marinas, but on the shore and sub-tidally, although regularly recorded, it is much rarer.